Using soda water as a creative element. Soda water adheres to most things that are dipped into it. I use a small fish tank and fill it with cheap soda water. 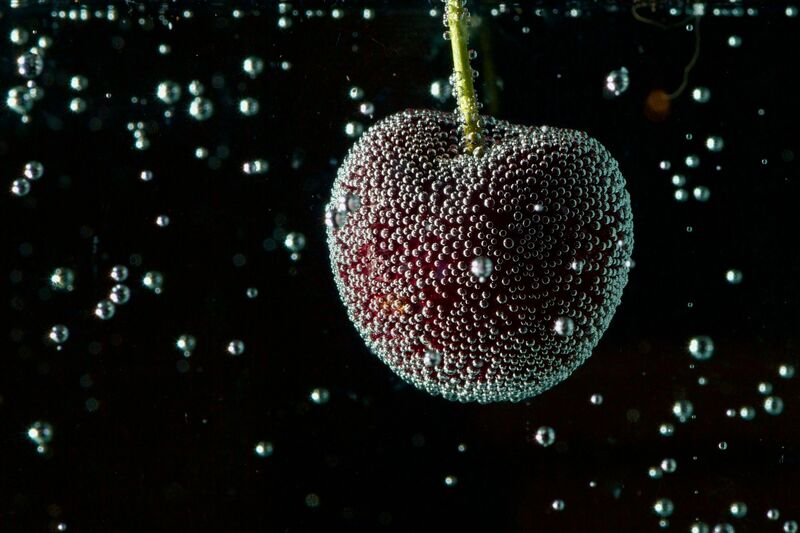 Possibly an idea to dilute the soda water, but it naturally de-fizzes over time, so the amount of bubbles will reduce the longer you wait (maybe even more so with the cheap soda). I initially started using lemonade, but that was a sticky and more expensive. 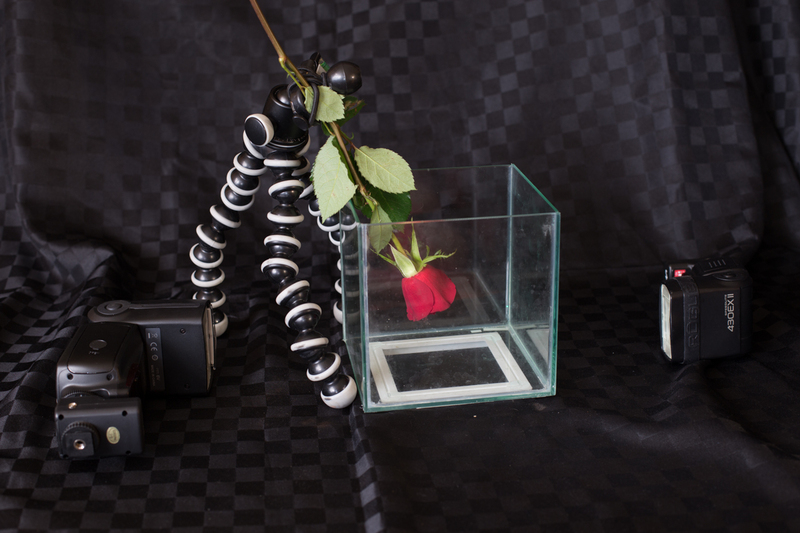 Shooting into a liquid filled fish tank will have an distortion effect. So I usually shoot with a narrow aperture (f11-16 – bearing in mind that I’m usually using a macro lens) to have more of the object and bubbles in focus. Don’t really need a macro lens or a tripod, but both help. Image showing a basic setup. The flashes aren’t all that important – but I use them to create a low key image. You can have any actual background that you want. Using a slice of kiwi fruit – having it pressed against the front of the fish tank means that bubbles don’t adhere to the front of the object. 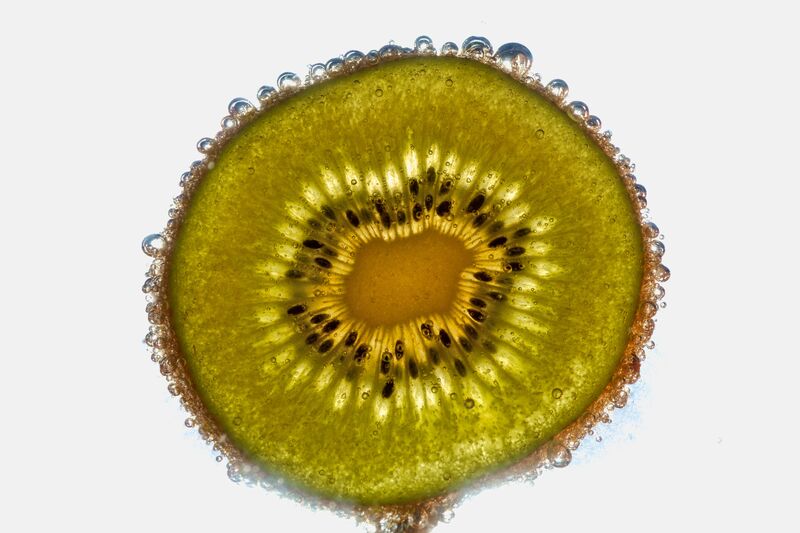 In this image I’ve used a flash behind the kiwi fruit to show more detail on the slice and to make a high key shot. 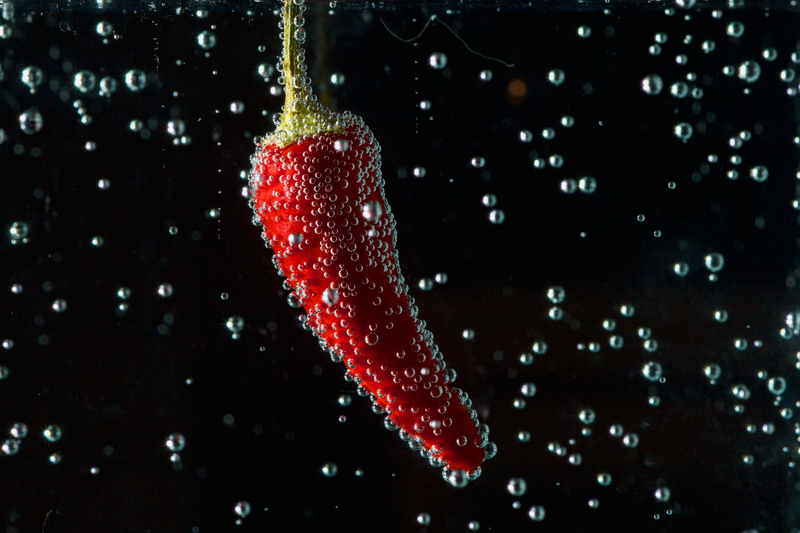 Hot Chilli – used a flash on either side of the fish tank to create a low key effect. One at lower power than the other to create more dimension. Remembering flash is around exposing for the ambient light – I usually expose it so that it’s completely black and lit only by the flash. If the flash is too bright, reduce the power, tighten the aperture, reduce the ISO or shift the flashes further back. Rose in soda water. In this sort of instance I will flip the image upside down so that the subject appears upright. Also started to wipe down the front of the fish tank to reduce the amount of visible bubbles. 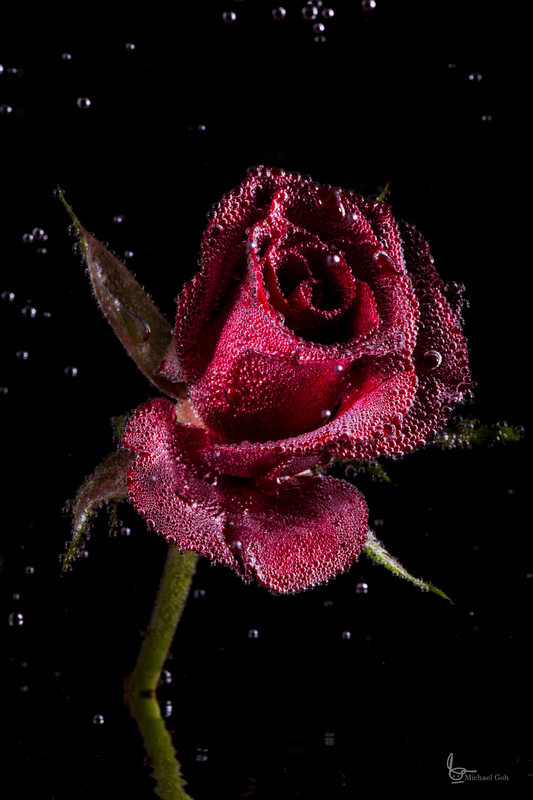 For things like flowers – I tend to give them a little shake in the fish tank as well to remove the larger bubbles. Wow! It’s fantastic! How did you do it?